Hyderabad : Chennai Super Kings skipper Mahendra Singh Dhoni said his side played a "complete game" to beat Kings XI Punjab and enter the Champions League T20 final here on Thursday. "Overall I think it was a complete game for us," said Dhoni after Chennai beat Punjab by 65 runs to enter the CLT20 final for the second time. "I think Faf's (du Plessis) innings was very crucial along with Bravo (Dwayne). Faf was rotating very well and he eased the pressure off Bravo," he said of Bravo and du Plessis who smashed 67 and 46 runs respectively. 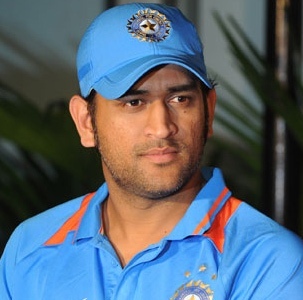 Dhoni was more than pleased with the 182 for seven his team posted after losing the toss. "Close to 160-plus would have been a good score, and if somebody had said at the start of the game we would have got 180 I would have taken it. There was a bit of uneven bounce, and if you think you can play your big shot, that ball will keep low," he said. "It was a bit difficult, but they (Punjab) had the firepower to score the number of runs we did. Ashish (Nehra) and Mohit (Sharma) started off really well for us," he said of his fast bowlers. Punjab captain George Bailey chose to praise the opposition than criticising his batsmen who could only come up with 115 all out in reply.